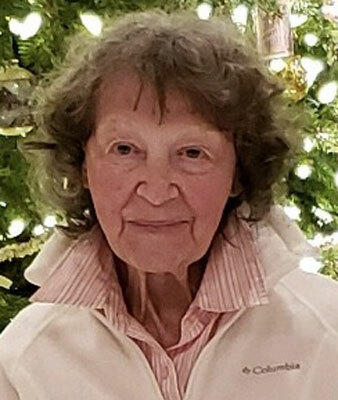 YOUNGSTOWN – A Mass of Christian Burial will be held on Saturday, Feb. 9, 2019, at 10 a.m., at the St. Michael Church, officiated by Father Terry Hazel, for Cecelia Marie Elizabeth Bersch, 86, who died Tuesday evening at St. Elizabeth Youngstown Hospital. Cecelia, affectionally known as “Ce Ce,” was born Aug. 1, 1932, in Youngstown, a daughter of Ludwig and Babette (Pfaender) Bersch. She was a 1949 graduate of The Rayen School, where she served as the Senior Editor of the “Rayen Record” and Class Secretary. She then received her Bachelor’s Degree in Biology and Chemistry from Muskingum College, where she was awarded Sophomore Honorary. She later did post graduate work at Youngstown State University. Ce Ce worked for 40 years for the Youngstown Hospital Association (now Forum Health). Throughout her time there, she worked as the Administrative Assistant to Pathologists, Supervisor of Medical Secretaries, and Health Data Analyst of the Quality Assurance Department, before retiring in 1993. She then went on to work as the Director of the St. Teresa Center. She was a charter member of Mahoning County Medical Assistants Society, a member of Volney Road Civic Association, Youngstown Ski Club, National Association of Quality Assurance Coordinators, Saxon Club, Friends of Mill Creek Park, Mahoning County Historical Society, and Mended Hearts of Mahoning County. She was awarded Employee of the Month at Forum Health and Customer of the Week at the Canfield Starbucks. Ce Ce leaves her dear friends, Alan and Lucy Setz, Don and Kris Caiazza, Pat Foxx, Bob McGowan and Denise Stewart, Dennis and Brenda Delfosse, Bob Pasquale, Carole and Joe Corrigan, Carla Thomas and Attorney Michael Moranda. She was preceded in death by her cousins, Mildred Bell, Paul Emch, Gerald Emch, Ruth Emch Jardine, and Alfons Pfaender. The family would like to thank the staff at Mercy Health’s SICU for their care and compassion given to Ce Ce. Memorial contributions can be made to St. Michael Church, 300 N Broad St., Canfield, OH, 44406. Please visit www.higgins-reardon.com to send condolences.